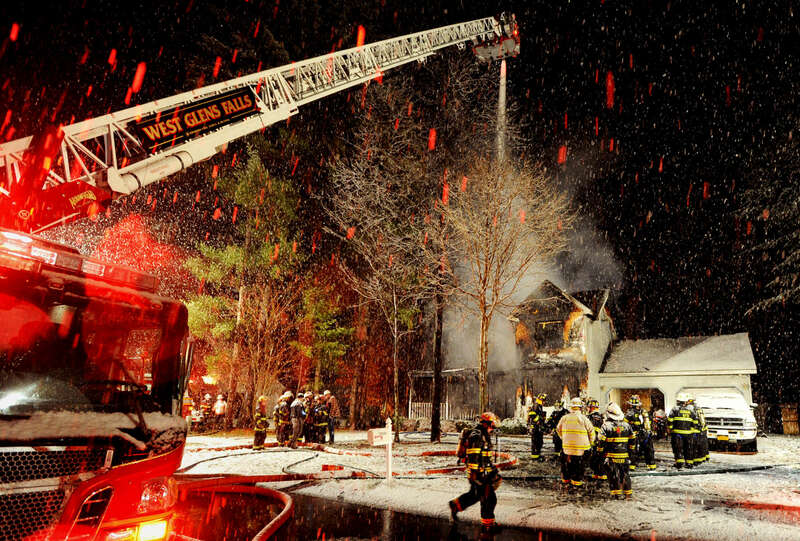 West Glens Falls and South Queensbury firefighters work the scene of a house fire on Fawn Lane in Queensbury Monday evening, November 8, 2010. One occupant was helped to safety by a neighbor and was taken to the hospital for treatment of burns. There were no other injuries reported.